Escape the depths of winter to relax and immerse yourself between the peaceful river and lush Tra Que Vegetable Farm, in the lands of the rising sun. This yoga & organic vegetarian food retreat is a week of nourishment, detox, revitalization and new encounters . The villa accommodation is the perfect place to live and immerse in the experience. Located on a sustainable farm, the villa is the union of EkoSpirit’s vision as a yoga and healthy food retreat team. 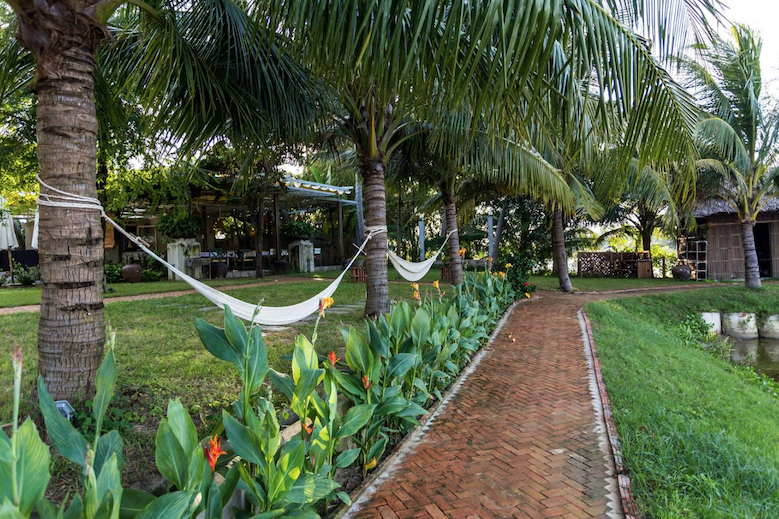 You will wake up every morning to the peaceful riverside on one side and to the famous Vegetable Garden on the other. Retreat attendees will also have access to the swimming pool. 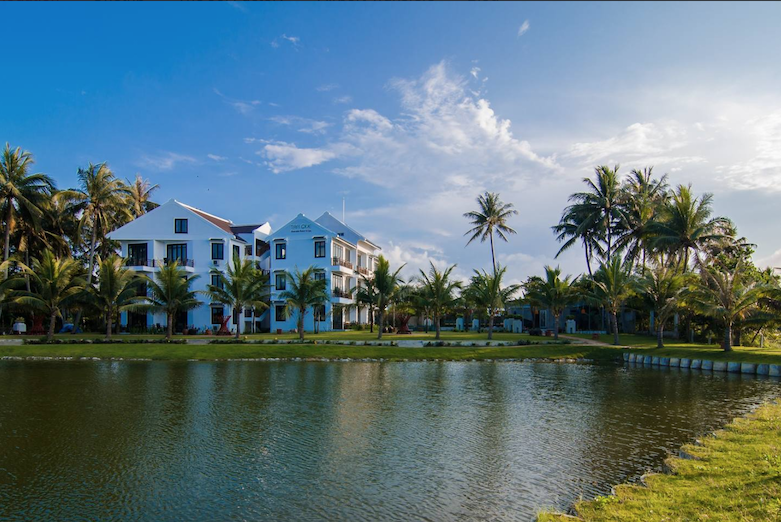 Explore Hoi An by bicycle during your week stay; from the villa to the beach is only 5-min and approx. 10-min to the Ancient Old Town. Book through Yoga in Vietnam and claim an exclusive $50 USD discount off the retreat rate. *Cost of two persons together, not each. To save your mat, a non-refundable deposit of half the retreat price is required. The remaining retreat cost is due before or on the first day of the retreat, directly to the organizers. Thank you for your inquiry regarding Organic Yoga & Healthy Food Retreat in Hoi An, Vietnam. Our team will be in touch shortly. Daiana Romero will immerse us in the organic yoga practice that she create after discovering the Amazonian forest. The intention is to synchronize the rhythm of our body with the cycles of nature and to take conscious part in the enjoyment of every moment of our life. In this way, we will allow our bodies to develop fluidity and dynamism, as well as calmness and receptivity. We will work with different posture sequences corresponding to the five elements (fire, water, air, earth, heart). Shaman Lebrun explore the fusion between the renowned cuisines of the respective countries, Vietnam and France. For Shaman, artist and French chef, even the simplest act, such as eating, is of great importance in our lives, because it is part of our source of pleasure, health and longevity. 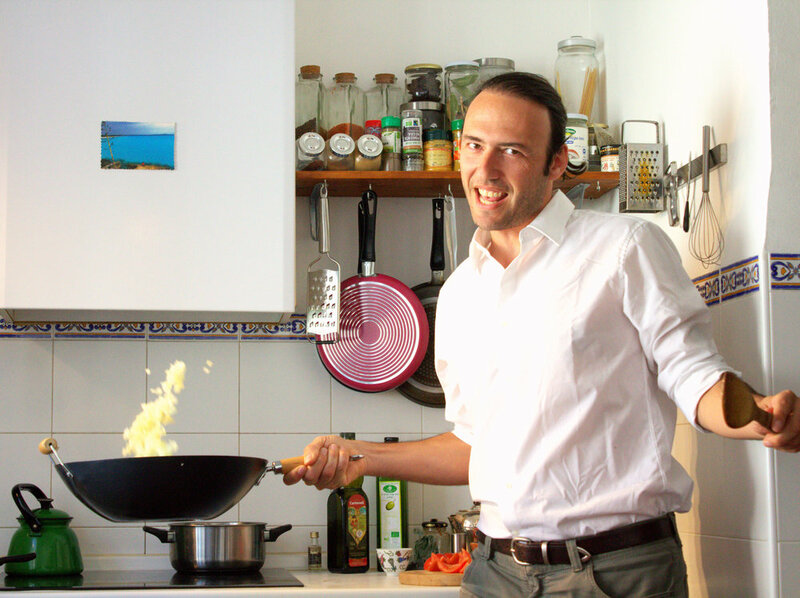 He focuses on preparing a vegetarian cuisine while paying special attention to the balance of protein substitutes. Our chef focuses on the preparation of a vegetarian cuisine based on products rich in fiber, vitamins and omega 3 and 6 fatty acids, fruits, herbs, nuts, vegetables and sprouted seeds. Shaman believes that the pleasure of eating nutritious and consciously prepared foods has a profoundly positive impact on the vitality of the body and the mind. This offer is in partnership with Ekospirit and is subject to our Terms & Conditions.